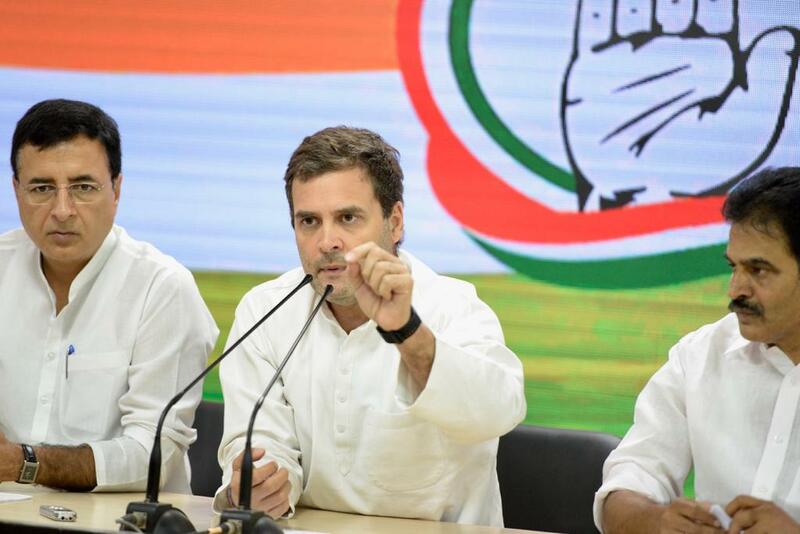 Congress President Rahul Gandhi on Monday said that the Congress-led government at the Centre will give Rs 72,000 every year to India’s 20 percent of poorest families in India if voted to power after this year’s parliamentary polls. Gandhi said that the new announcement was part of the party’s newly created Minimum Income Guarantee Scheme. Terming it historic, Gandhi said that such scheme had never been implemented across the world. Warning reporters to not get shocked, he revealed that his party-led government was going to distribute Rs 72,000 every year to nearly 20 percent of the poorest families in India. They will be from every religion, every caste and language.” Gandhi said that this scheme will lift nearly 25 crore people out of poverty. He said that this amount will be directly credited to their bank accounts. “If Narendra Modi can give money to India’s most richest, then the Congress party is capable of giving money to the country’s poorest families,” Rahul Gandhi added. He reminded how he had promised to waive off farm loans within 10 days of his government coming to power in Madhya Pradesh, Chhattisgarh and Rajasthan. Gandhi made the announcement soon after the Congress Working Committee met in Delhi. The decision to arrive at Rs 72,000 for each family was taken in the CWC meeting, which was also attended by former Prime Minister Manmohan Singh, also a noted economist. Gandhi said that the decision’s fiscal repercussions had been analysed before agreeing on the sum. “This is perfectly doable and we are going to deliver the scheme,” he added. He said that anyone earning less than Rs 12,000 per month will have the deficit topped up by the government.